An overview of best practices in Service and Support Performance Measurement. HEAR how the industry's top performing Service and Support organizations track and trend their performance! 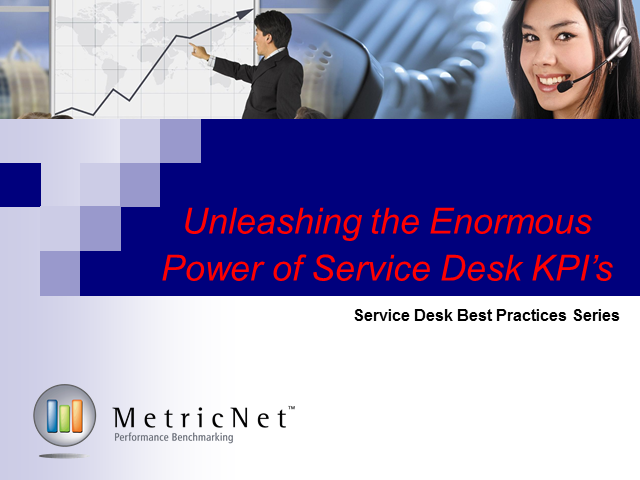 APPLY Best Practices in Service and Support Performance Measurement and Management! In this webcast, MetricNet will share the key success factors in performance measurement from the industry's top performing Service and Support organizations!